There's been an overflow of games released on the Switch over the past few months. As a result, Digital Foundry has decided to assess four recent arrivals in a single video. 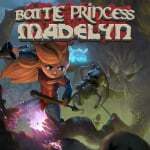 These titles include Firewatch, Octahedron, Travis Strikes Again and Battle Princess Madelyn. As usual, how each of these games runs on the Switch is a major talking point. 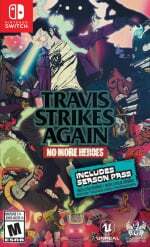 Travis Strikes Again is commended for its stable performance, despite the resolution being a tad low. 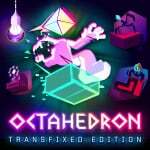 Octahedron managed to see the light of day on the Switch, even though it was originally developed using software that doesn't really support the system, and Battle Princess Madelyn is praised for replicating classic sprite-based action. The last segment of the video is allocated to Firewatch. Digital Foundry takes a look at the game's framerate and cites the overall performance as a major problem. Although there's a 30fps cap, unfortunately, noticeable dips frequently detract from the narrative experience. On the portable front, the experience doesn't get any better. Take a look at the full analysis in the video above and tell us if you've played any of these games on the Switch. I experienced little issue with playability in Firewatch. Digital Foundry goes over games tooth and nail looking for anything possible to whine about. So long as a game works properly, I don't see any reason to complain. And having played through Firewatch myself without any issues, there is no reason to complain on that front. Thanks for making an article on this video, Liam. Always like reading the comments here, while I usually don’t read the comments on DF video, due to Digital Foundry’s toxic fan base. I am so sick of the DF fanbase mindlessly following everything they say as if it is the one last true word on gaming. I honestly dont get this obsession with frame rates and resolution and how games become unplayable because its not 60fps. @bluemage1989 For the most part it's just interesting. 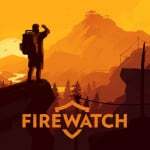 Firewatch was noted for its poor performance during its original launch so the Switch conversion was always going to be a challenge. It's neat to see the different compromises and strategies developers use to bring games to consoles of different power levels. They can be almost educational at times. I find that I usually enjoy games a bit more when I understand some of the techniques that went into making it. All that being said, resolution and framerate are not the end all be all of gaming but they DO have a huge impact on our ability to enjoy some games. I own Firewatch on PS4 and would absolutely double dip on a Switch version but after watching this I will likely wait for a patch. Sustained drops to 20fps with some down to even 10 in portable IS NOT a good way to play this. As somebody who enjoys tech talk and struggles to play games with poor performance, I love DF's work! Long may it continue. @Heavyarms55 I believe the point of digital foundry is not to complain but to just point out how things really work. The title even "DF loves switch". Of course there are things so minor that don't bother many when actually playing the game including me, but if you watch DF's videos you can see the vast amount of experience and knowledge these guys have over every little thing regarding computers rendering graphics. They're here to show us everything under the hood, you can take it however you want. @JamesJose7 That's fair to argue, but they seem to nitpick the hell out of everything they talk about. I just find that extremely unpleasant. @Heavyarms55 True, but as you said, they do that with EVERYTHING across all platforms. It's keeping itself level that way. But I get your point. @Scollurio Yeah, I don't think they particularly hate Nintendo or anyone. Sorry if I made it sound like that. I am also playing Firewatch and what Digital Foundry says is exaggerated to the maximum. The game is fully playable and some framing hick ups are barely noticeable. Digital Foundry sometimes is over the top. Some of you don’t seem to understand what the point is about an analysis. Firewatch has a horrible and noticable framerate, with annoying popups. But the game has problems on the PS4 and Xbox One as well. Is the game unplayable, no, but it could have been better optimized on all systems. Still a good game, but don’t try to sweap the problems under the rug. And how are DF hating on the switch?? They are praising the other three games for the performance. They also gave Doom, Wolfenstein, Mario Odyssey etc etc etc, high praise. If you follow their show, they love the system. Guess some of you didn’t even bother to watch the video. @carlos82 Have you played Cursed Castilla Ex? I just completed it recently and loved every minute of it. It absolutely nails the look and feel of the classics. It bodes well for what we can expect from the other projects Grasshopper Manufactures teased, as well as other upcoming Unreal Engine 4 games like Dragon Quest XI. Unreal Engine 4 support was hyped as a great acheivement around the Switch's launch, but so far there was barely any proof of the console actually being able to handle UE4 for something faster then Snake Pass. @Heavyarms55 I understand where you are coming from, fair enough.